IN Lebanon, a unified contract is now in place to protect the human rights of women migrant domestic workers. It was developed by a Lebanese Steering Committee in cooperation with the Office of the High Commissioner for Human Rights (OHCHR) and the International Labour Organisation (ILO). More than 200,000 migrant workers, mainly women, are working in Lebanese households. Although they constitute a large proportion of the workforce in Lebanon, they do not enjoy the same rights as local shop assistants or factory workers. This is because in Lebanon, people working in private households are excluded from the protection of labour law. As a result, domestic migrant workers in Lebanon have been suffering human rights violations for many years. Numerous reports have pointed to their difficult work conditions. Some of the migrant workers reported that they had been physically and sexually abused by their employers. Others complained about being paid late or not at all. Some were even locked in their workplace and not allowed any free time. Since 2005, OHCHR has been working closely with the Lebanese government, the ILO and various non-governmental organizations to alleviate the hardship of women domestic migrant workers in Lebanon. A Steering Committee was set up to develop a national plan of action. One of the first major achievements of the Committee is the drafting of a unified contract, which for the first time provides a common set of standards to protect domestic migrant workers. The unified contract, signed by the Lebanese Ministry of Labour last month, is now effective. Contracts for migrant workers need to comply with the protection standards prescribed by the unified contract before work permits are issued by the Ministry. Experts on migrant issues points out that the unified contract will significantly improve the situation of migrant workers in Lebanon. “The previous contract did not consider the migrant domestic workers as human beings. The new unified contract recognizes the human dignity of the domestic worker,” says Roland Tawk, representative of the Pastoral Committee for Afro-Asian Migrants, a non-governmental organisation. The contract, signed in Arabic and in the language the concerned worker understands, emphasizes the migrant workers' right to decent living conditions and acknowledges their right to adequate food and clothing. It obliges employers to provide them with a place to sleep where their privacy is respected. Other terms of the contract include guarantees to a weekly day of rest and annual holidays. The number of working hours per day is limited to ten. Employers are obliged to arrange health insurance for employees in their households. The workers themselves have the right to quit their workplace if they are abused. Although being hailed as a substantial improvement, human rights experts regard the contract as only a first step. “The unified contract offers a very good creative solution to provide some human rights protection for women migrant domestic workers. However, it is a temporary stop-gap measure, until a new law is adopted,” says Fateh Azzam, Regional Representative of the OHCHR, who points out that the drafting of the new law is now in process. 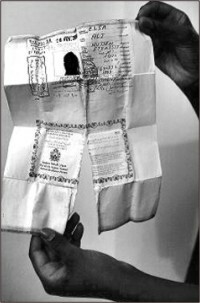 The experience with the unified contract, where a government and international organisations successfully cooperated to improve human rights protection for domestic migrant workers in Lebanon, may well serve as a model for other countries in the region seeking to improve legal protection for migrant workers. Source: Office of the United Nations High Commissioner for Human Rights (OHCHR). A good number of Bangladeshi women are working as migrant workers in Lebanon. Hopefully the unified contract will help Bangladeshi women workers realise their labour rights as well.